I've been thinking a lot about ROI because at the end of the month, I'll be doing a session at the Legal Services Corporation's TIG Conference on ROI in the Nonprofit World. On Monday, my article, The ROI of Social Media, was published in the NTEN Newsletter and in March I'll lead a panel at the NTC on that topic. ROI is a ROI is a ROI. Shortly after the NTEN article was published, Alison Fine emailed me with some of her thoughts and gave me permission to blog them. I agree 100% with a lot of what Alison is saying. One point that Alison mentioned made me think of this photo by Evan Hamilton. I get very nervous with terms like metrics and ROI because they often lead to people thinking that there is one right measure, that is too often financial, that will be the silver bullet of success. Alas, measurement is a slow, learning process that takes time and energy. We need to find ways to learn on a continuous basis about what's working and how to improve for ourselves and our efforts first and foremost. Alison goes on to talk about how easy is it to get quantitative information online, but the qualitative is more difficult. 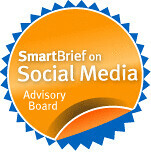 In particular, we know that social networks are critical to the success of efforts to raise awareness and advocate for an issue, but what is it about these networks that makes them successful - the size, the strength of the relationships (even though we know that successful social networks are made up of tight AND loose ties), the activities within the network, the activities that are created that happen outside of the network - or maybe all of the above! I think the time is right to get activists and activist organizations to begin to think through their own success for their social media efforts. To date the technology itself was so nascent that we were all pretty happy when it worked and people responded and participated. The right is absolutely right to ask the "so what" questions, but it would be nice to do it in a way that avoids the perils and missteps that assessments have taken on and that have locked it, too often, into such a burdensome, financial model. I think what Alison is saying is that ROI may be calculated based on numbers, but numbers alone - no matter how compelling or disappointing won't speak for themselves. And, that there are different measures of success for different organizations. It's now up to us to explain what they mean and how they support the organization's visions and goals as well as what we may learn about the network's social interactions. If you are interested in balanced scorecard, KPI and metrics in business, check this web-site to learn more about Metrics and development metrics. Personally, the thing I've been contending with lately is the idea that it's all a crap shoot anyway. When we look back at what has worked for us, it's only very rarely that we can say "THING A" was the cause of our success. 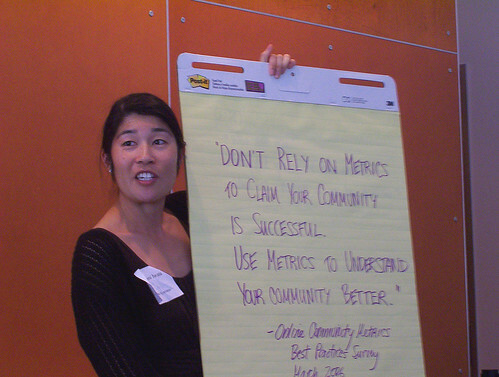 Community is messy, amorphous stuff, and you may never really be able to use metrics to say WHY you did or did not succeed in any given social media endeavor. But they tell you if you are or are not succeeding. So it's funny stuff. Anyway - as always, your article was incredibly thought provoking. I look forward to the session at the NTC! Awesome thoughts, Beth (and Allison!). Definitely got my mind thinking about a number of things, for example: I hear comparisons fairly often from nonprofits when they are evaluating their new media strategies instead of looking at how their work is helping them reach their goal and evaluating the work within the confines of accomplishing the goals associated with the strategies. It doesn't matter if the Humane Society has five times as many facebook friends as your organization. What matters is if the friends you do have in a social network are helping spread news about your work/projets/services or if they are mobilizing to raise money or spread awareness for you. I know it's hard, but metrics really need to be kept in check! Thanks again for the great thought-provoker! Amy, you raise a really fascinating point about the use of social networks for social change in this newly connected world. We've always used social networks to leverage change, the difference now is that those networks are so visible on a site like Facebook. I think that the new phase of evaluative thinking needs to wrestle with the idea that we tend to focus on how wide the networks are rather than how effective they are at making change (e.g. Causes on Facebook measures impact as number of friends and $ raised) We've just started to utilize these networks for change- now we have to figure out how to utilize them well and improve them over time. Again, you've struck a nerve. Did you see the report from Edelman about measuring influence? That's what we need to get out - how soc nets can mobilize our networks.